All property stylists will tell you one thing: it’s all about the light. Light, light, light! So the title of this blog might be a tad confusing but hear us out. While a home needs to be well-lit (preferably with lots of natural light), that’s no reason to be afraid of the dark! A splash of black here and there adds personality, opulence and uniqueness to a home. 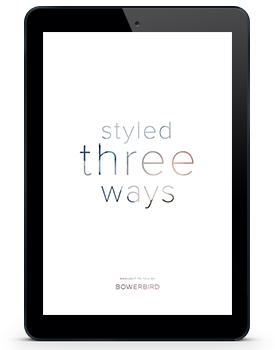 Just have a look at the BOWERBIRD Moody lookbook to see just how subtle and stunning a dark palette can be. Here’s how to rock it. Before you go adding darkness to a space, make sure it is properly lit first. If you struggle to get enough natural light in, consider moving big furniture out of the way of windows, changing curtains, replacing old lights with bright, energy-efficient bulbs and placing mirrors to reflect light in darker areas. A room with entirely dark walls is going to feel claustrophobic. Instead, create a statement wall or splashback. It’s an inexpensive way to create a little richness without turning your whole home into Dracula’s lair. 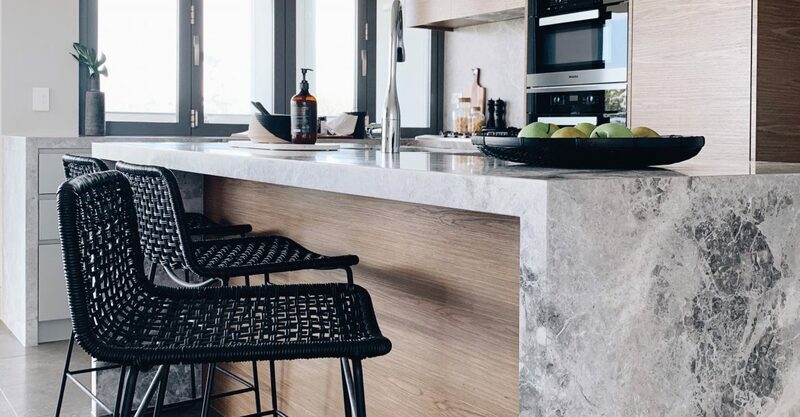 Dark accents look especially striking against sharp whites and creams. Play with the composition of each piece, knowing happily that monochrome will never go out of style – ever! Keep walls and flooring bright and breezy so you can have your fun with the furnishings. Try going big – we love a glossy black table or bold sofa to draw all eyes into the centre of the room. 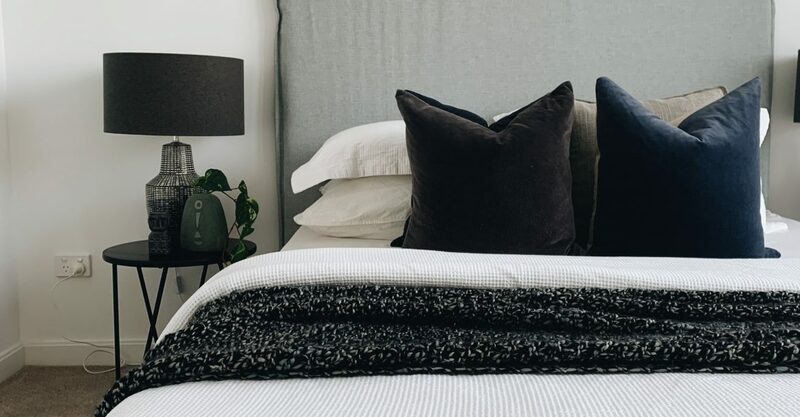 You may not feel ready to turn to the dark side – or perhaps your home is simply in need of more subtle styling. You can add a hint of black here and there, in a velvet cushion, photographic print or statement vase. That way you’ll be able to slowly add just as much dark detail as you’d like. Dark colours can be a little daunting, especially if this is for a home that’s going on the market! 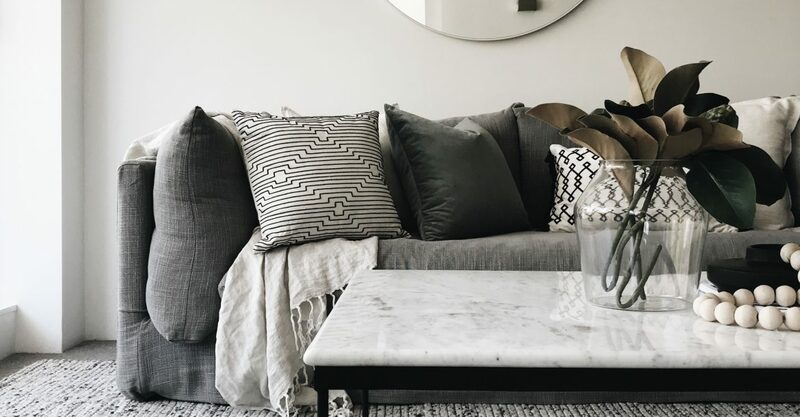 A property stylist can help you achieve the perfect balance – curating a space that’s broodingly glamorous, not drab and dreary. 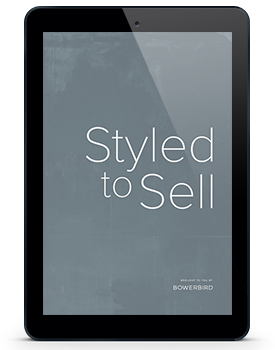 BOWERBIRD property styling can help you create the look you’ve always wanted and get the selling price you deserve. 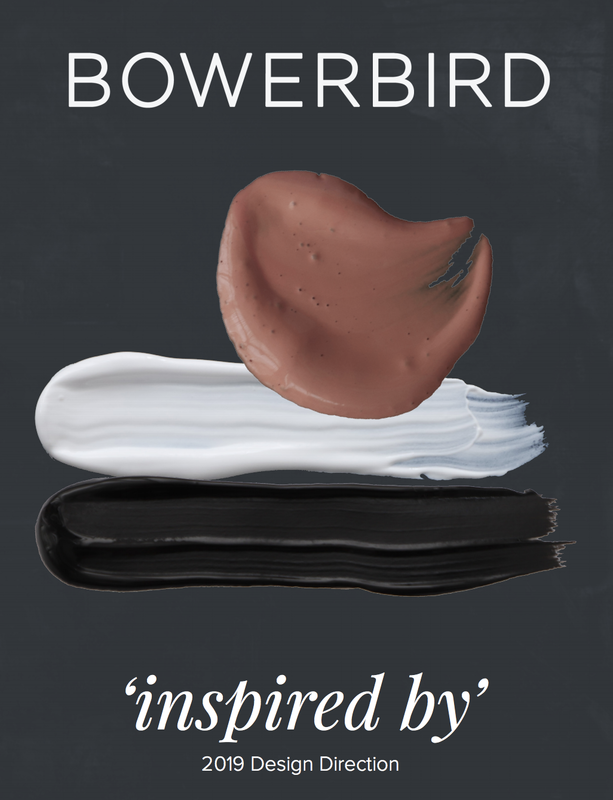 With our BOWERBIRD BLACK offering, you’re guaranteed success – or your money back. That’s right, you’ll only pay for property styling when you sell your home. Want to know more? Visit BOWERBIRD BLACK or contact us below and we’ll get back to you.